Marion Rotunda Campbell, 95, passed away on Saturday, March 31, 2018 at Cornwall Manor. Born in Cornwall, PA, she was the daughter of the late Samuel C. and Helen M. (Yorty) Rotunda and was the loving wife of LeRoy M. Campbell for 59 years until his death in 2003. 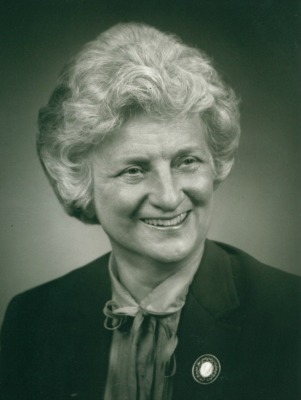 Marion graduated from the Lancaster General Hospital School of Nursing in 1944 and earned a Bachelor of Science Degree in Professional Studies from Elizabethtown College in 1973. Marion’s career choice was directly affected by a promise she made to God following a devastating auto accident resulting in a near death experience. She promised God she would dedicate her life to helping others if he allowed her to live. Following her extended hospital recovery, she decided the nursing profession would prepare her to fulfil her promise to God. Helping others became the true passion of her personal and employment lifetime. The position from which she retired was that of the Executive Director for the Lancaster County Association for the Blind which is presently known as VisionCorps. Marion’s memberships included, Grace Lutheran Church of Lancaster, Community and Congregational Service Committee, Lutheran Social Services, Lancaster General Hospital Alumni member, Board of Directors of the Urban League of Lancaster, Board of Director for the Nursing Advisory Committee and was name a Paul Harris Fellow from Rotary International Foundation. She then moved to Cornwall Manor, where she continued her volunteerism by helping fellow residents and staff with various philanthropic activities as well as spear heading the fundraising for the “Rail Trail” project. She is survived by a son; Gene C. Campbell, husband of Cynthia A., of Lancaster, a granddaughter; Lynne M. Campbell of Lancaster, two great-grandsons; Jaden and Dylan, a grandson; Michael S. Martin of Salt Lake City, UT; one niece, and two nephews. She is predeceased by a son; Jack R. Campbell, a brother; Jack D. Rotunda, a sister, Dorothy Thomas and a grandson; Keith R. Campbell. Relatives and friends are invited to attend a Memorial Service on Wednesday, April 11, 2018 at 2:00 PM at the Levi Zerr Chapel at Cornwall Manor Retirement Community, 1 Boyd St, Cornwall, PA 17016. A second Memorial Service will be held on Saturday, April 14, 2018 at 11:00 AM at Grace Lutheran Church, 517 N Queen St, Lancaster, PA 17603. A visitation will be held on Saturday from 10:00 AM until the time of the service. Interment will be private in Riverview Burial Park at the convenience of the family. In lieu of flowers, memorial contributions may be made to Grace Lutheran Church 17603 at the address listed above, to VisionCorps, 244 N. Queen St., Lancaster, PA or to a charity of your choice. So sad to read of Marion’s passing. I volunteered at Cornwall Manor for many years teaching line dancing and she was one of my “dancing grannies”. Such fond memories. May you find comfort and strength during this loss of such a wonderful woman. Marion was a wonderful neighbor to us many years ago on West View Drive. Her work for the Lancaster community will always be remembered. She lived a long, remarkable life. Condolences to all her family.